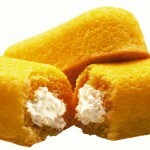 If I were to eat a box of Twinkies each week, would you be surprised if I gained weight by the end of the year? I would think not. What would you think if someone shot and killed a teller in the midst of robbing a bank and then pleaded in court that the gun shot the teller, not him? Most people would rightly consider such a claim as lunacy. Twinkies don’t make people fat and guns don’t kill people. In both cases, the Twinkies and the gun are merely passive tools in the hands of a heart that is seeking to use those tools for its own selfish ends, rather than the glory of God. And, so, with that introduction we take a look at church programs. It seems that much of the debate these days about the dire condition of the church and home centers on church programs. In the eyes of some, the very real problems of youth rebellion, parents divorcing, singles feeling like second-class citizens in the church, etc., etc. are laid at the feet of these programs—or lack of these programs. Making the programs the issue is a tragic distraction from the real issue that continues to miss our attention. Our hearts as church leaders, as parents, as children, as brothers and sisters in the Lord are desperately in need of transformation. Jesus tells us that heart transformation is not an outside-in pursuit, but an inside-out pursuit that is the ongoing work of the application of the Gospel in our hearts every day. Church leaders can add/change/delete programs all they want, but if the heart is not the focus and the Gospel not the means it makes little difference. When I speak of church programs, I speak mainly of youth ministry, children’s ministry, men’s ministry, women’s ministry, singles ministry, and senior ministries. At the Institute, we support each church’s examination of church programs to see how they are helping/hindering the work of the Gospel message applied to life through relationships. Programs are commonly abused when people rely on them to do the work that they should be doing in their relationships. Examples include elders who don’t shepherd because they assume that the programs are meeting those needs. Same with parents don’t disciple their kids at home and husbands and wives who are not living in an Ephesians 5 way. Another abuse occurs when the people who run the programs give little thought to the role of God-ordained relationships in the lives of those who are served by the programs. For example it is not uncommon for parents to be overlooked. Or worse, some of these ministry leaders consider parents as counter-productive to what they are seeking to accomplish in their ministry. In my 20 years of working with church leaders I have seen churches where real, gospel-centered heart-level transformation is taking place and programs are a real help—as they should be. But this is because it is clear in the minds of leaders and members that relationships, particularly those in the home, are more important. I have also seen churches where the leaders have concluded that programs were “not biblical” and acted quickly to get rid of them. This action caught unprepared and ill-equipped households off-guard. In these cases, people were not given a vision for achieving greater heart-level transformation by the Gospel as the reason…because in many cases it wasn’t the reason. It was just that the programs were not specifically prescribed in scripture. At the Institute, in coaching church leaders, we do not make programs the main issue because they are not the main problem. After laying the vision for transformation by applying the gospel to the heart through relationships then we help church leaders evaluate programs to see how they help or hinder this vision. We make recommendation as needed for how to modify programs so the programs remain servants, not usurpers of relationships. Programs and relationships must work together. It has been my experience that when church leaders are successful in equipping the body to minister through relationships, programs can become superfluous and be discontinued. This will likely be good news for many church leaders who are burning out trying to keep the programs going. God’s plan is always best and the more faithful we are to follow it, the more fruit we should expect to see.